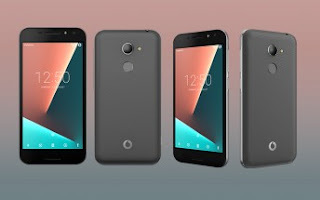 Vodafone's latest droid on the cheap is the Smart N8 and it packs stereo speakers on the front, a fingerprint reader on the back and Android 7.0. The Vodafone Smart N8 costs just £85 with a pre-paid deal and can be had free on a contract starting at £17. The Smart N8 specs read like this - a 5-inch 720p screen, 13MP back camera and 5MP front snapper and a MediaTek MT6737 quad-core chipset with 1.5GB of RAM.